The institute aims at fostering quality technological education and improving the quality of life by involving students in research and development activities. The institute enables students to face the challenges of life and globalizing market with confidence and framed with a motive to provide education accepted all over world delivered through the highly motivated faculty members. The institute has extraordinary campus with comfortable study environment. The institute offers scholarships to all the students who fit in the criteria and to all the top rankers. 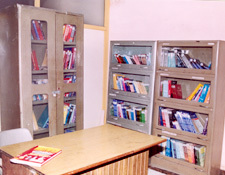 The institute facilitates digital classrooms and e-books to enhance learning experience to the students. The institute recruits highly qualified and experienced staffs to cater knowledge to the aspirants in their chosen domains. 8 lecture halls, 3 laboratories, Labs like Anatomy lab, Histopathology, Physiology lab etc. 26000 books, 135 journals etc. I want a admission for B.Sc(Nursing)? Pls update about the admission in bsc biotechnology.. and how to fill tge form and where to fill...? Fees of DITPMS for btech in IT? please tell me gnm admission with full detales ? 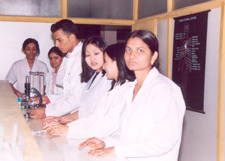 Are you Interested inDelhi Institute of Technology & Paramedical Sciences"? Please provide the following details.